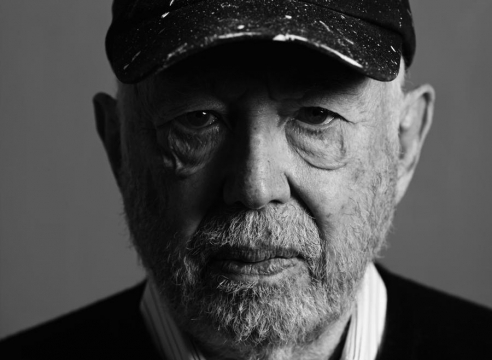 Van de Weghe Fine art is pleased to announce an exhibition of works by American master Ellsworth Kelly. For five decades, Kelly’s abstraction of the traditional components of painting has resulted in singularly compelling works that transcend the distinctions between painting and sculpture. By eliminating figure, ground, brushwork, and composition in favor of color and form (often through an unusual demarcation of the canvas edge), Kelly subtly alters the field for visual perception, creating an illusion that belies the painting as a flat surface in two dimensions. This triumph over the picture plane has transformed our conception of the relationship between painting, sculpture, and the physical context in which such an object resides. Kelly’s genius in this regard has been (and continues to be) profoundly influential in both the praxis and the philosophy of art. The exhibition will include a range of “painting-objects”, as well as a pair of Kelly’s plant drawings. In spite of the high theoretical formalism of Kelly’s work, his paintings are not non-objective, but true abstractions of forms in nature, most pointedly and poignantly revealed in his drawings. Several of Kelly’s iconic, monochromatic shaped canvases will be on view: vivid expanses of color, here in Kelly’s classic blue, a deep forest green, and a rarely seen violet hue. A double-panel canvas in gray and red, hovering similarly between two and three dimensions, and a strong geometric coupling of canary yellow and black complete this small survey of important works. In all, the works on view demonstrate the richness of Kelly’s minimalist aesthetic, and just how eloquent the simplest of forms can be. 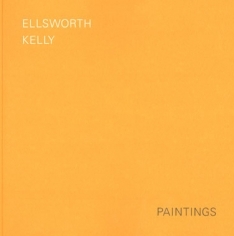 Kelly’s work will also be on view at Whitney Museum of American Art, in the exhibition “Ellsworth Kelly: Red, Green, Blue, Paintings and Studies, 1958 – 1965”, through November 3.